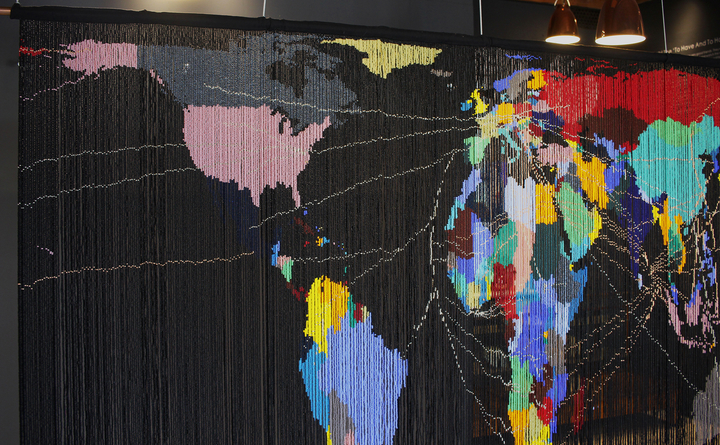 Home » Art » Unveiling of Large Scale Glass Bead Map entiled; ‘Who is the Artist’? 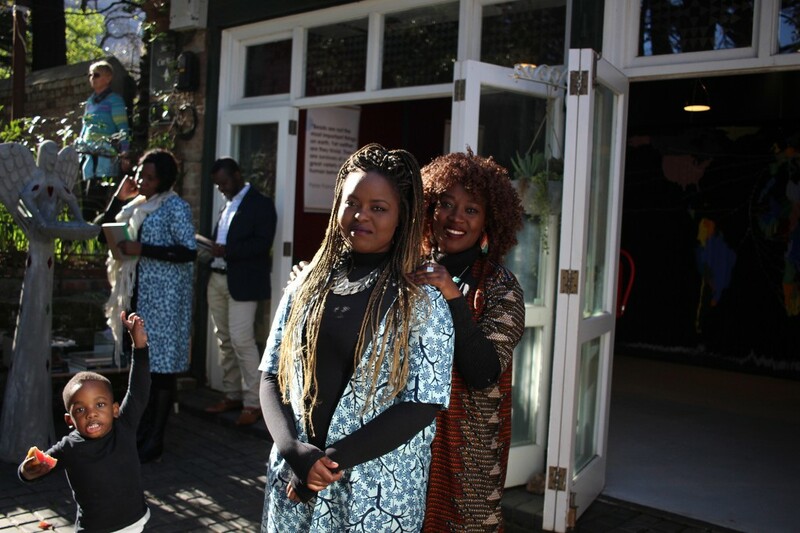 BelovedBeadwork is delighted to announce the unveiling of its new and unique artwork, threaded and woven into life over the past two months by a team of women from across the African Continent and the United Kingdom. This world first 35kg piece is modelled on the recently re-publicized ‘Peter’s world Map’ which, positions Africa in its more accurate proportions to the rest of the world. Drawing on their expertise of using algorithms to create bespoke beaded jewellery, BelovedBeadwork produced a world map and matrix of colour stringing together 580 lines of beads. Over and above the hours and hours of beading labour, the team also immersed themselves in research resulting in a multidisciplinary initiative that triangulates such disciplines as, art history, political economy, geography, anthropology, sociology, commerce, cartography and modern-day design. One thousand hours later, Anna Richerby and Laurance Kapinga co-founders of BelovedBeadwork say, ‘we have gone where few would venture, capturing the beauty of this global interconnection in a detailed, back-creakingly made masterpiece design, with a rainbow of colours that catch the eye at first glance, leaving the viewer with a silent question of “What is that? ‘Who is the artist’? Our goal in creating this artwork was to make something beautiful, grand but meaningful. Something that would allow us to contribute to crucial global conversations engaging audiences everywhere via, the ancient yet, the highly pervasive discipline that is beading’. The team has worked for almost 100days to bring to life this, 4000-year-old global glass bead trade. This larger than life beaded world map invites audiences to examine narratives, perspectives, theory, understanding and constructs on; ‘ownership’, ‘origin or source’, ‘intellectual property’, ‘connected communities’, the extent to which many in the art & design world are often ‘nameless’, ‘faceless’ whilst their work, designs and creativity is transported across worlds, boundaries and economies with next to nothing left behind or coming back to the ‘makers’, artists and their community.